France's Charline Picon won gold in the women's RS:X after finishing second in the medal race at the Rio Olympics. China's Peina Chen claimed silver, while Stefaniya Elfutina of Russia picked up bronze. 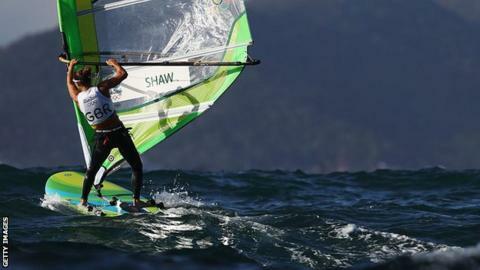 The top six windsurfers had gone into the race separated by just six points and overnight leader, Italy's Flavia Tartaglini, finished sixth overall. Bryony Shaw, Britain's first ever women's windsurfing medallist with bronze at Beijing 2008, finished ninth. "I feel like I have had bad fortune but it has been a great four years," said Shaw. "It is tough, the Olympics is what we all aim for, the fact that this has not been my week is tough. "I have had some amazing comments from the other competitors and coaches and amazement in that I haven't performed to my best. "I will learn from it and hopefully come back stronger for the next one." Find out how to get into sailing with our special guide. How to get into sailing - combat the forces of nature as a competitive sailor or learn how to get away from it all in a boat.